Birthday Quest 2018, Part 2 of 6: The “Parks & Recreation” Giants « Midlife Crisis Crossover! From a narrative standpoint in a tale of Garfield statues, it may be counterintuitive to have a Chapter 2 that contains exactly zero Garfields. Our research phase brought up a limited number of bonus attractions in the same general vicinity, but two in particular immediately stoked our interest upon discovery. 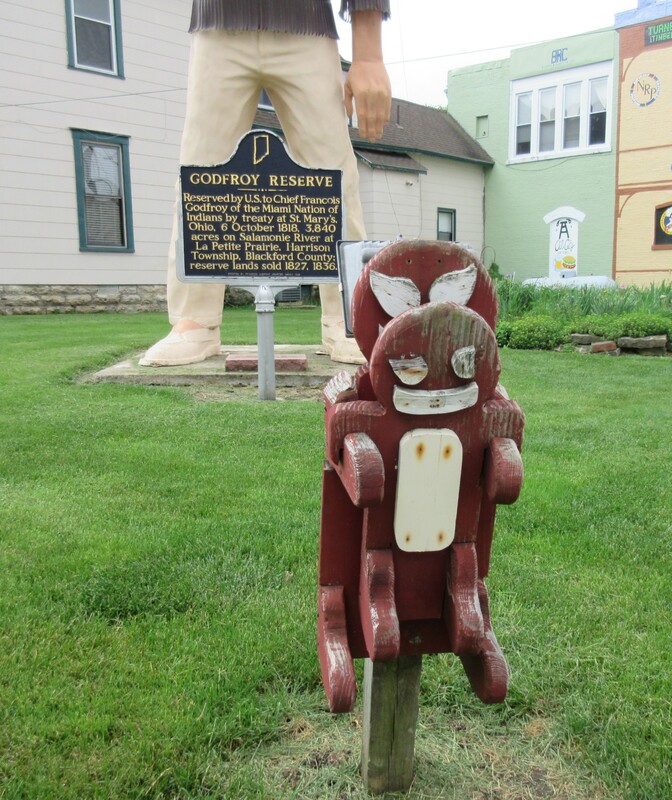 It’s not often you’re in a small town that can lay claim to an As Seen On TV artifact, let alone two of them. It’s rarer to find such objects related to a TV show we both really, really liked. And we had to be honest: how likely were we to venture out this far again in the near future? Or the oh-so-distant future, even? Why not catch them while we’re up here anyway? If you’re like us, you’re a fan of the late, lamented TV series Parks and Recreation, the last time I avidly watched a broadcast sitcom. Although the show took place in Indiana, the cast and crew very rarely traveled all the way from California to film here on location. For one (1) episode they made an effort to shoot in Indianapolis and truly engaged the city, but they confined themselves to two of the most common stops — Lucas Oil Stadium for the hoi polloi who love football and have opinions about our Colts; and famously ritzy St. Elmo’s Steak House, where I’ve never eaten in my life because my heart stops every time I look up their menu. It’s exactly where you’d expect Hollywood visitors to gravitate and mingle until the wee evening hours before returning directly to the airport without stopping. Where was I before the mood to rue overtook me? Oh, right. We’ve seen the opening credits of all seven seasons numerous times, but never scrutinized the montages all that closely. 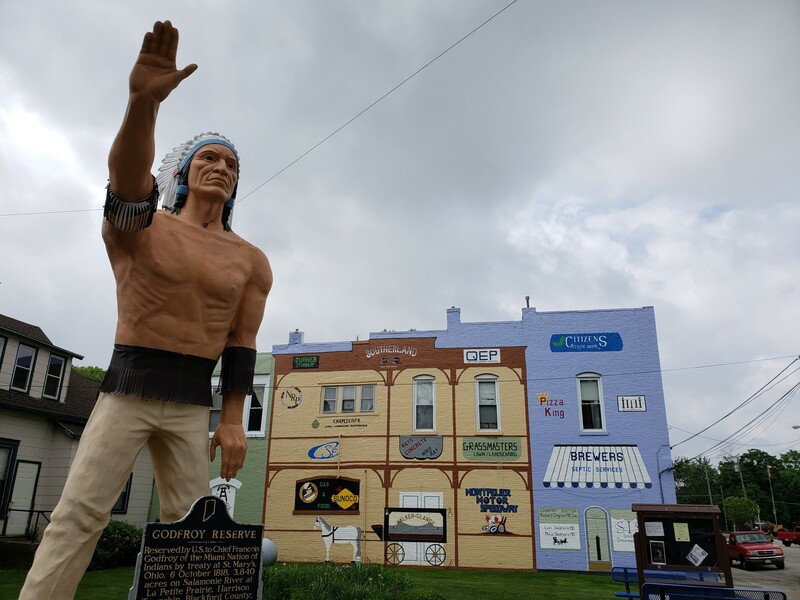 We were surprised two learn two real-life Indiana statues make blink-and-you-miss-them cameos in the montage of ostensible Indiana scenery, at roughly the three-second mark in the season 1 credits. 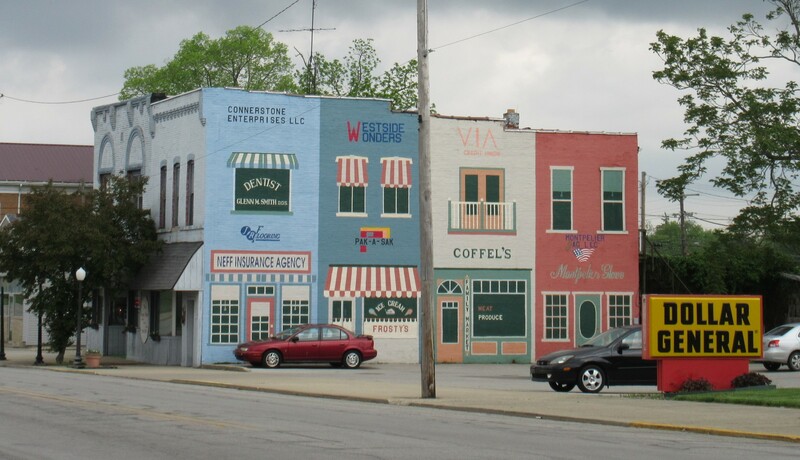 Both are located in the town of Montpelier, fourteen miles off the interstate and quite a bit north/east of our previous stop at Ivanhoe’s in Upland. They had no Garfields, but we had to drop by anyway. Leslie Knope would’ve wanted it that way. 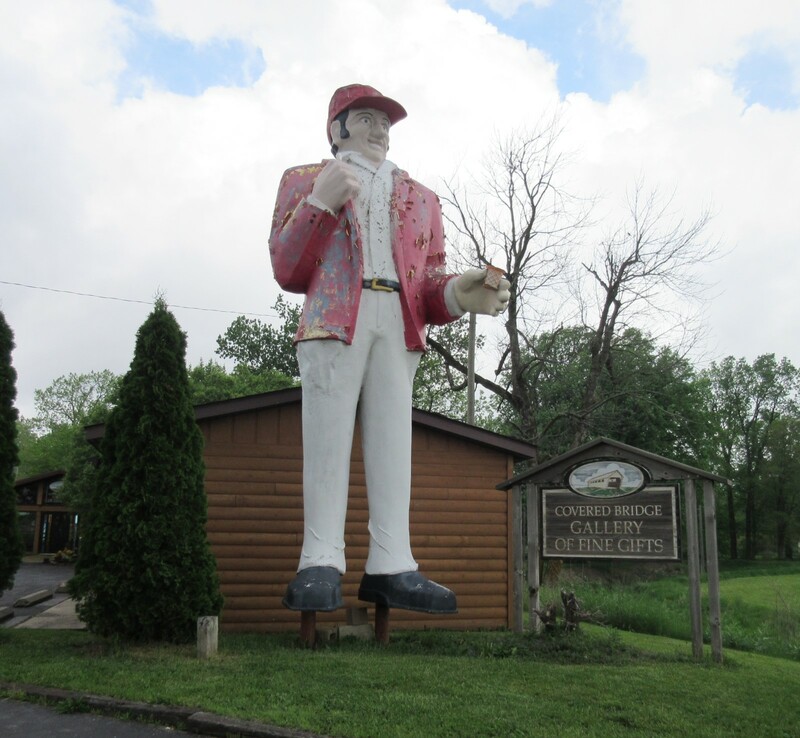 The first Parks and Rec statue is five miles west of town, the “Ice Cream Giant”. 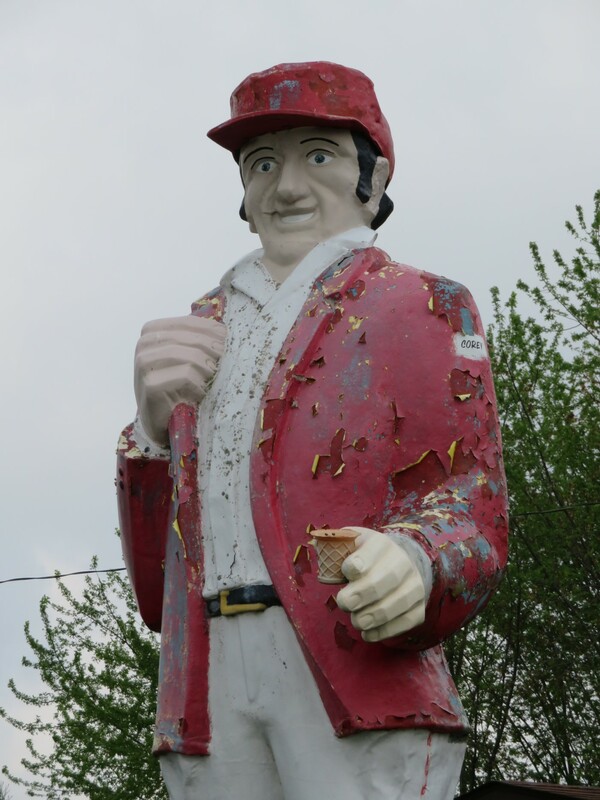 This mascot stands in front of the remains of a restaurant and ice cream shop called Tin Lizzy, which went out of business circa mid-2015 or so. A chained gate implied visiting would now count as trespassing. We stuck to the roadside perimeter and were grateful the traffic was light and non-reckless. The gift shop seemed likewise non-functional. 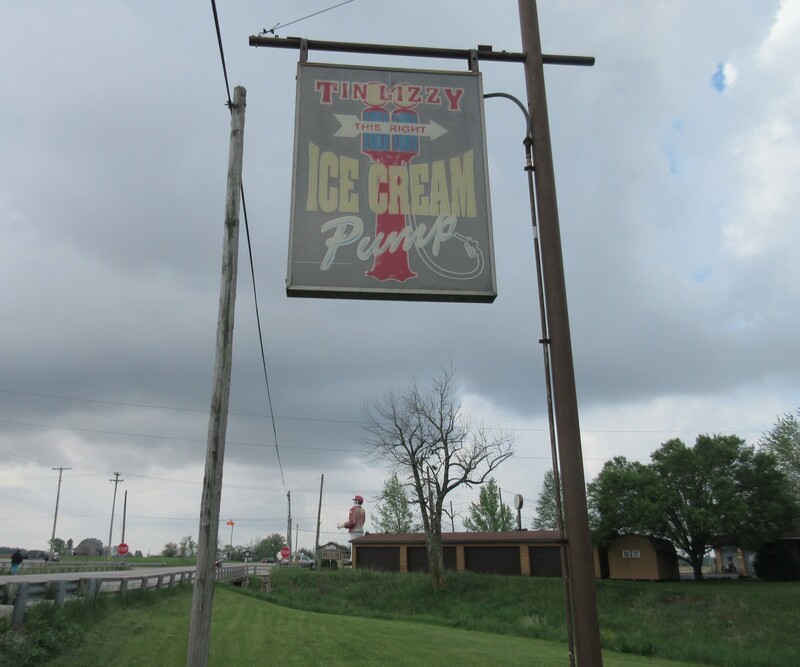 The ice cream and the gas pump were two separate features, though an Ice Cream Pump would certainly bring us gluttons a-runnin’. 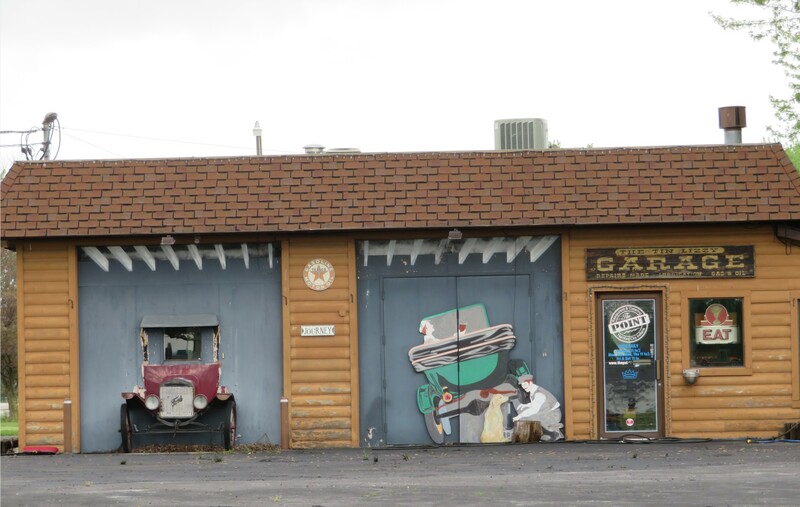 Fun painted garage on the other side of the lot. 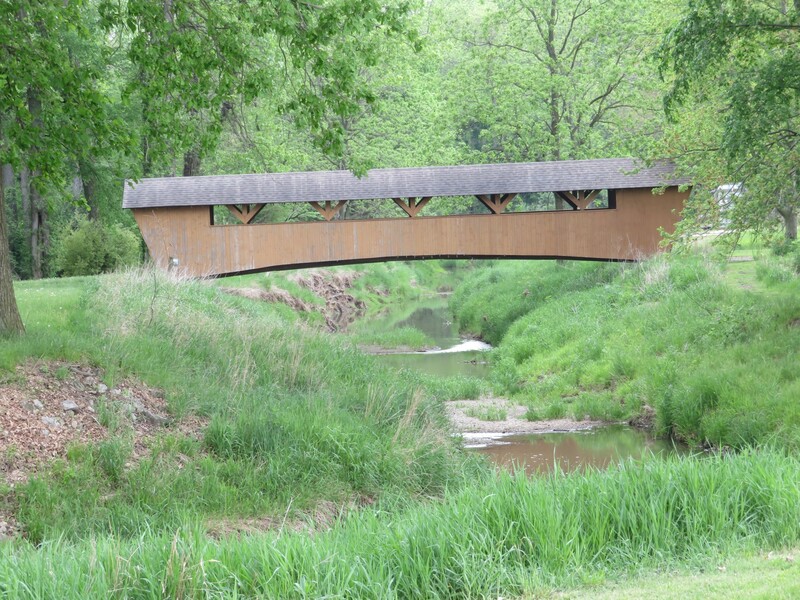 Out back and in the distance, one of Indiana’s covered bridges goes to and from…somewhere. If you examine those Parks & Rec credits even more closely, you’ll note (a) they transposed the image, (b) someone’s stolen the ice creams scoops off his now-empty cone, and (c) he’s now suffering from abandonment and neglect. His TV costar is a centerpiece of what’s left of Montpelier’s downtown. Like Matthews, they were once larger and mightier in the days of the early 20th-century natural gas boom, and they could boast of an oil field for a time. Things haven’t been the same since both resources were used up, but they’ve retained a steadier population than some of their neighbors. Several storefronts were empty, but a few businesses kept the faith, including a used bookshop and a dance academy. Beyond the statues and former industries, their other claims to fame include hometown hero Kevin Ford, a NASA astronaut who piloted the Space Shuttle Discovery on his first spaceflight and has been aboard the International Space Station; and the First National Bank of Montpelier, Indiana, which was robbed in August 1933 by John Dillinger and his gang, who made off with somewhere between $6,700.00 and $12,000.00 depending on your source. As we’d expect, the chief gets his own park. It’s small but far from featureless. He was born a car dealership mascot in the 1960s; he traveled to North Dakota for a time; he returned to Indiana to front a Native American museum at the state park nearest our own house; and he was gifted to a Miami Nation chief, who later regifted him to Montpelier even though the Miami haven’t had a concentrated presence in the area since 1836. 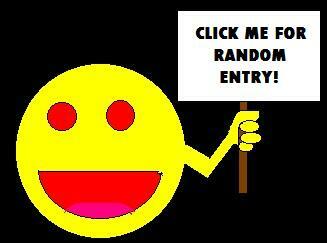 That sentence begs far too many “why” questions and I cannot answer any of them. 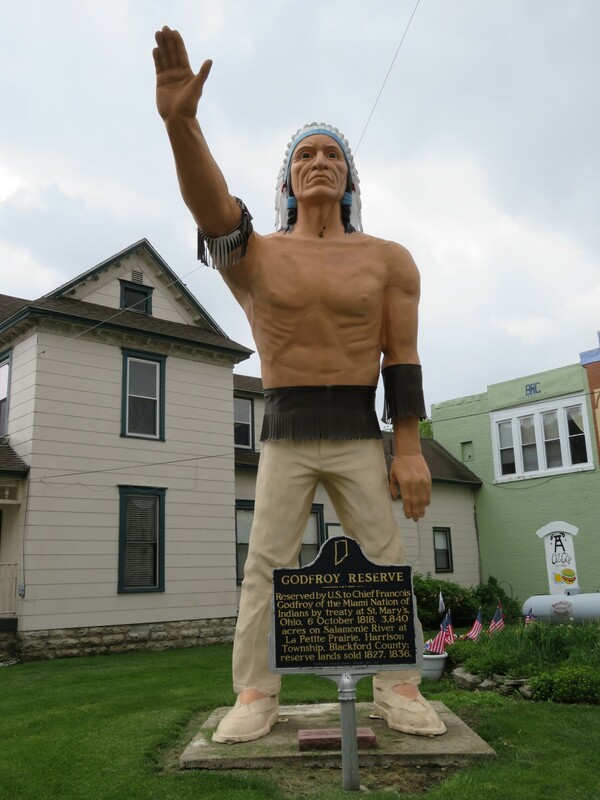 He’d be 1000 times cooler if they erected a sign proclaiming him a leader of the Wamapoke. 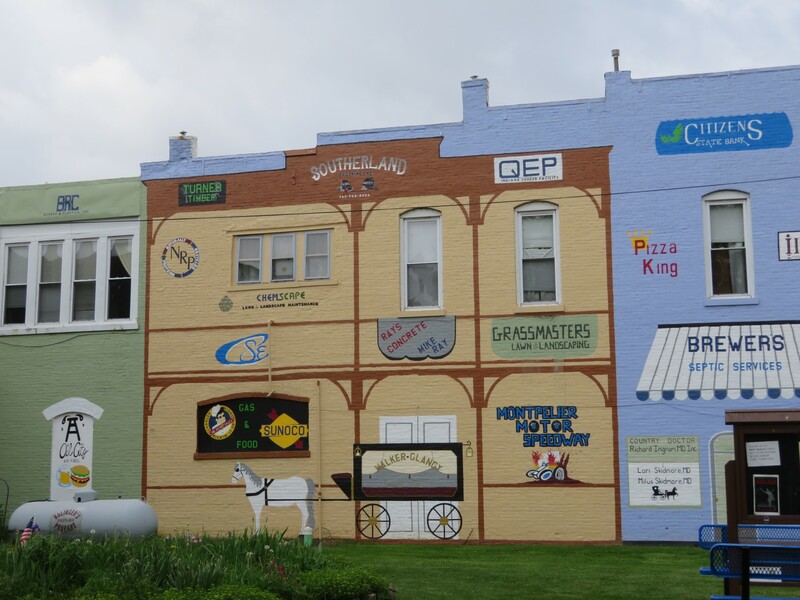 The mural behind the chief — imagined businesses to accompany the surviving ones. In front of the Indian, two gingerbread men either enjoy a piggyback ride or wrestle for dominance. Main Street nostalgia continues on another mural across the way. Apropos of Pawnee, Montpelier has a few parks. 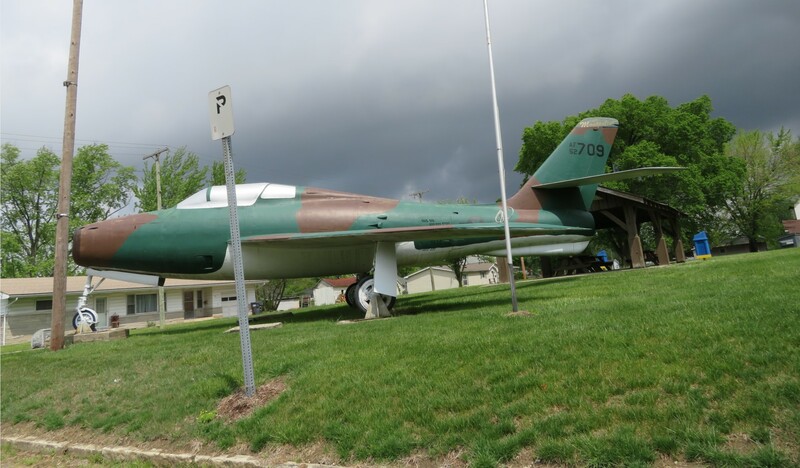 Baldwin Park boasts its very own F-84 Thunderstreak, a 1970 military donation. A Space Shuttle would’ve been even cooler, but this’ll do. The count stands: two Garfields down, nine still to go. To be continued!